CDN assists in developing governance across Scotland’s colleges through our board development programmes, supporting college board members by providing updates on latest developments in the sector and the information they need to fulfil their responsibilities. Please also visit the Governance Hub which provides members of boards in the college sector, and their staff, with access to the key training courses and supporting resources that they need to fulfil their roles. To gain access to the Governance Hub, please contact your Board Secretary. Every board member in the college sector is accountable for the proper use of millions of pounds of public money and for the provision of appropriate training and education to thousands of students each year. 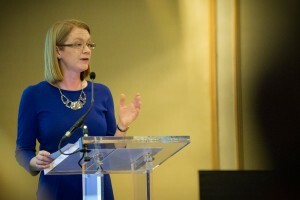 The sector, in conjunction with Scottish Government, the Scottish Funding Council, and other stakeholders, has established a Good Governance Steering Group to support colleges and strategic bodies. A mandatory Code of Good Governance was originally published in 2014 and recently updated in August 2016. A Board Development Framework has been produced to guide boards in building their own skills, knowledge, and performance. It is crucial that every college board and the boards of regional strategic bodies understand their responsibilities and have the knowledge and skills to fulfil them well. It is also vital that the senior staff of every organisation have an understanding of governance and know how to play their part in it. These pages provide you with key information relating to college governance, please click on the tabs at the top of this page to find out more. Please also visit the Governance Hub which provides members of boards in the college sector, and their staff, with access to the key training courses and supporting resources that they need to fulfil their roles. All colleges in Scotland are required to comply with equality legislation that impacts on the day to day work of the college, its strategic direction and how its board diversifies its membership. Board members play an integral role in supporting equality and diversity in Scottish colleges as part of creating and driving the colleges’ strategic aims, by ensuring the college meets its legal responsibilities, and in helping to build a diverse and representative governing body. This briefing explains the role of boards in overseeing the embedding and implementation of equality law within college processes, but also focuses on what it means for boards themselves. The Code of Good Governance for Scotland’s colleges is a core reference document for anyone involved in governance in this sector. Adherence to the Code which has been developed by the sector and its key stakeholders through the Good Governance Steering Group is obligatory for every board that receives money from the Scottish Funding Council. 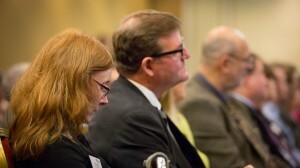 The Good Governance Steering Group recently undertook a review of the Code of Good Governance for Scotland’s Colleges. As part of this exercise, a consultation took place to seek views from key stakeholders on the revisions proposed by the steering group. This review has now concluded and the updated Code of Good Governance for Scotlands Colleges August 2016 is now available. The Scottish Funding Council has released guidance, ‘Good practice in college governance’ which articulates requirements for colleges to comply with the revised Code of Good Governance for Scotland’s Colleges. The Guide for Board Members in the College Sector is another national publication produced by the Code of Good Governance Steering Group. It is a short, easily read guide to the responsibilities of being a board member in a college or regional strategic body in Scotland. A Board Development Framework takes into account best practice principles from the public, private and charity sectors. In producing the guidance, the Steering Group has sought to balance the desire for the sector to implement the code in ways which reflect the diverse needs of individual institutions while at the same time, making clear the high standards of governance required of every college and regional strategic body. This guidance supplements the requirements of the Code of Good Governance published in December 2014. The Development Framework is designed to help colleges and regional strategic bodies to put into practice the Code’s requirements covering board training, induction and development. Guidance Note – Conducting Externally Facilitated Effectiveness Reviews (August 2016) is new guidance for college boards, which has been developed in line with the updated Code and agreed by the Good Governance Steering Group. College boards are being asked to complete their initial externally facilitated reviews by 31 March 2017. On Board: A Guide for Members of Statutory Boards this guidance provides the basic information that you will need to understand your role as a member of the Board of a public body in Scotland and to help make your time with the Board fulfilling and effective. The Good College Governance Task Group was announced in a Parliamentary Statement on 08 October 2015. The Task Group’s remit includes developing the necessary capacity and behaviour to improve governance. The Good College Governance Task Group – Final Report focuses on areas for improvement, while acknowledging that college sector governance has many positives. The Task Group has also produced the Good College Governance Task Group – Supporting Material Report, which is intended to be read in conjunction with the main report (above) and provides supporting detail. Staff Governance Standard, a document produced by Scotland’s Colleges, the organisation previous to College Development Network. This guidance explains the requirements of the new public sector specific duty regulation, which aims to promote greater diversity amongst the members of the boards of Scotland’s public authorities. It is aimed at those responsible for implementing the PSED in public authorities in Scotland. The Technical Guidance on the Public Sector Equality Duty in Scotland has also been updated to include information on the new duty. 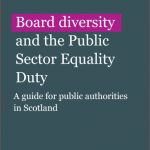 View Board diversity and the Public Sector Equality Duty: a guide for public authorities in Scotland here. View Technical guidance on the Public Sector Equality Duty: Scotland here. View Glossary of Terms relevant to the college sector in Scotland here. College Development Network’s (CDN) College Board Members’ Conference was held on Tuesday 25 October 2016 at the Hilton, Glasgow. 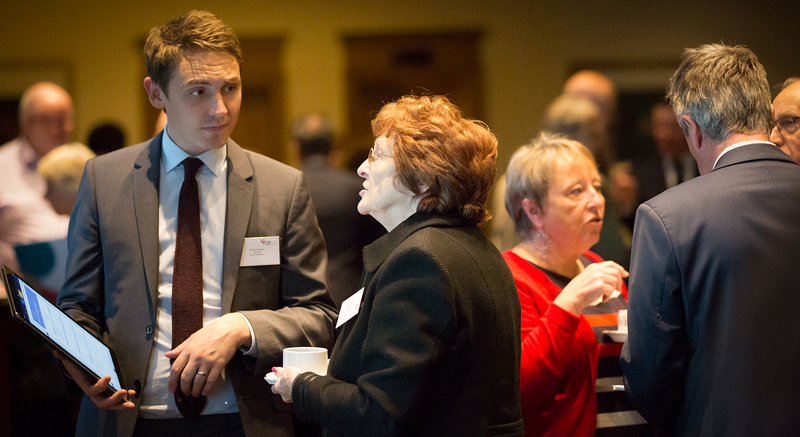 Building on the launch of the ‘Guide for Board Members in the College Sector‘, the conference brought Board Members together and provided them with opportunities to network, share experiences and learn from recent developments in the sector. During the conference the new Governance Hub was launched, which provides members of boards in the college sector, and their staff, with access to the key training courses and supporting resources that they need to fulfil their roles. 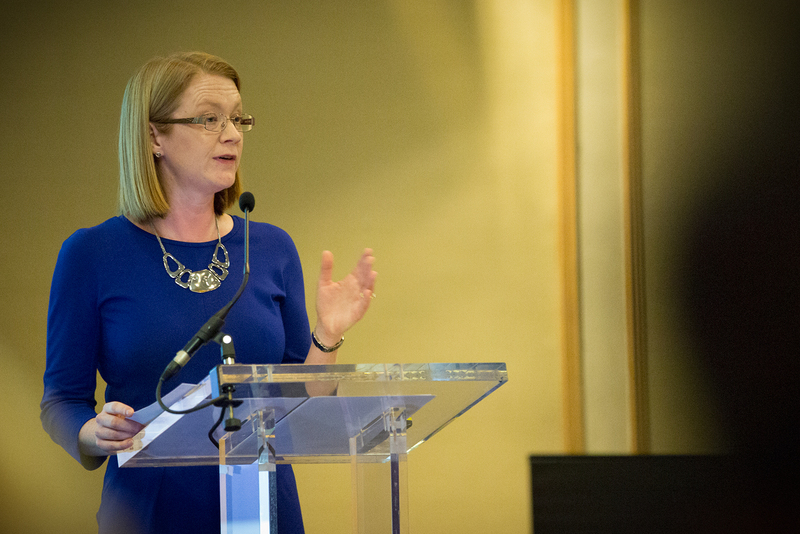 We were delighted that Minister for Further Education, Higher Education and Science, Shirley-Anne Somerville, was in attendance and provided the keynote address. View PowerPoints from the conference here. All college board members are expected to attend a national Induction Programme and thereafter keep their skills and knowledge up to date. On behalf of the sector, CDN, provides the national Induction Programme to support board members in their role. The programme is designed to reflect the requirements of the Code of Good Governance and to complement the induction offered by individual colleges and strategic bodies. 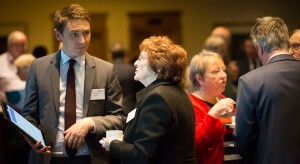 The induction events offer attendees had a chance to build their own networks as well as meeting the organisations and people shaping the future of the sector at a national level. The induction training helped me to understand my role better and has given me confidence to play my part. Please contact your board secretary if you would like to attend one of these dates. Programme run by Dr. Ron Hill, Honorary Professor of Education, University of Stirling in partnership with CDN. This bespoke training programme focuses on the development of reflective practice amongst Board Secretaries. CDN and NUS Scotland have come together to provide specialist governance training for student board members across Scotland, helping them to make a real contribution to the work of their boards. I feel I know more about what is expected of me and I will be more confident in the board meeting setting and communicating with the Board outwith formal meetings. 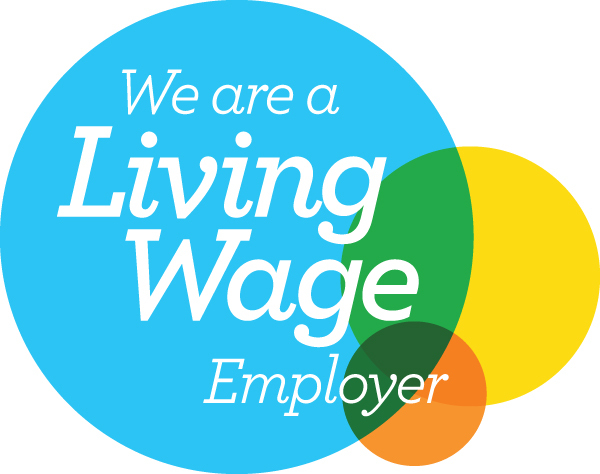 An online training module was developed for Remuneration Committee Members. Please contact your Board Secretary for details.